I wasn’t shredding snow in the mountains or shredding air (zip lining) through the tropics. I did had high hopes of great accomplishments to report: new bags for the shop and a new purse for me. But inertia was stronger. Actually, again I was stuck on how to design the handle attachment to my purse (version 2). And just plain procrastination on dealing with that faux leather again. The snap clasp on Version 1 has been shredding my knitted shawls. I needed something slightly bigger. It would be nice to have a little slot for knitting. I have been shredding a bit of this blog/Etsy thing. After listening to too many social media/small business podcasts and watching too many workshops, I have been thinking about this whole business. All of them talk about focus and a bunch of other things. I can’t stay focused on one thing, this Etsy business. As a reformed workaholic, I’ve done that, I’ve paid too high a price, mainly in my health, to work 80-90 hours a week. And the other stuff, mainly the social media stuff, including this blog. I don’t want to blog or social media to change my life. I can see that happening, doing things just so I have something to post. Real life is not that interesting. Not spending my whole weekend working on blog posts for the next week during the holidays was so nice. I will no longer be forcing a schedule of weekly or twice weekly posts as is the standard expected blogging behavior. I will post when I have something to say. I will be making bags when I can. I hope to update the shop at least once a month. Hubby’s travel schedule is ramping up again. I’d rather be out exploring cities rather than stuck in the hotel working at the sewing machine. 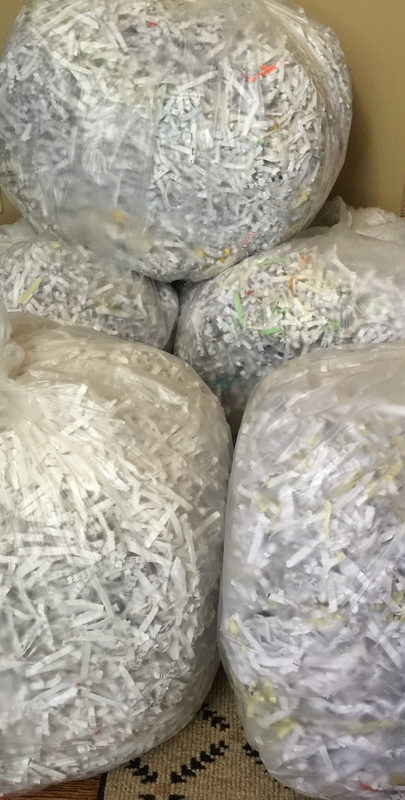 I was shredding paper accumulated over a few years. 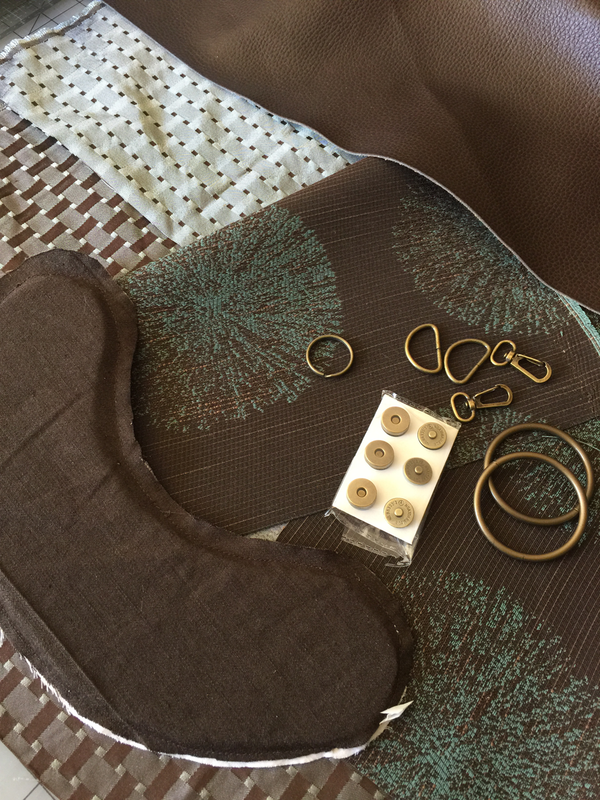 Part of cleaning and organizing the sewing studio. The twinkle lights are to raise the ambient temperature. And for a new interest, fermenting, I was shredding cabbage. I started listening to a relatively new podcast, cleverly called, The Fermentation Podcast. 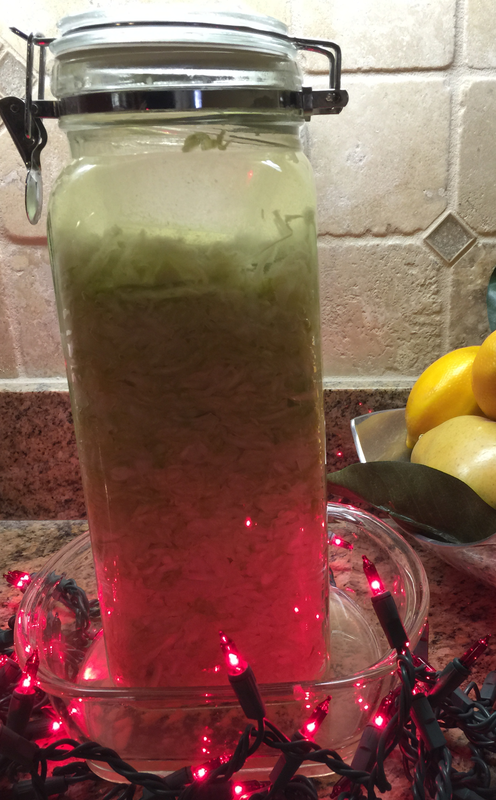 After much youtube video watching and reading blogs, cooking sites, and state agricultural extension sites, sauerkraut looked like the easiest to try first. How complicated can it get with cabbage and salt? That jar contains two huge heads of cabbage hand shredded. Probably too full. Bubbling has been happening. The twinkle lights are to raise the temperature. My house is very very cold in the winter. It will go into the refrigerator today and then we wait for a month. That’s it! This entry was posted in Etsy Shop: Slanted Stitches, Sewing, Zigzagging and tagged bag making, blogging, fermentation, homemade, sauerkraut, sewing on January 5, 2015 by slantedstitches.